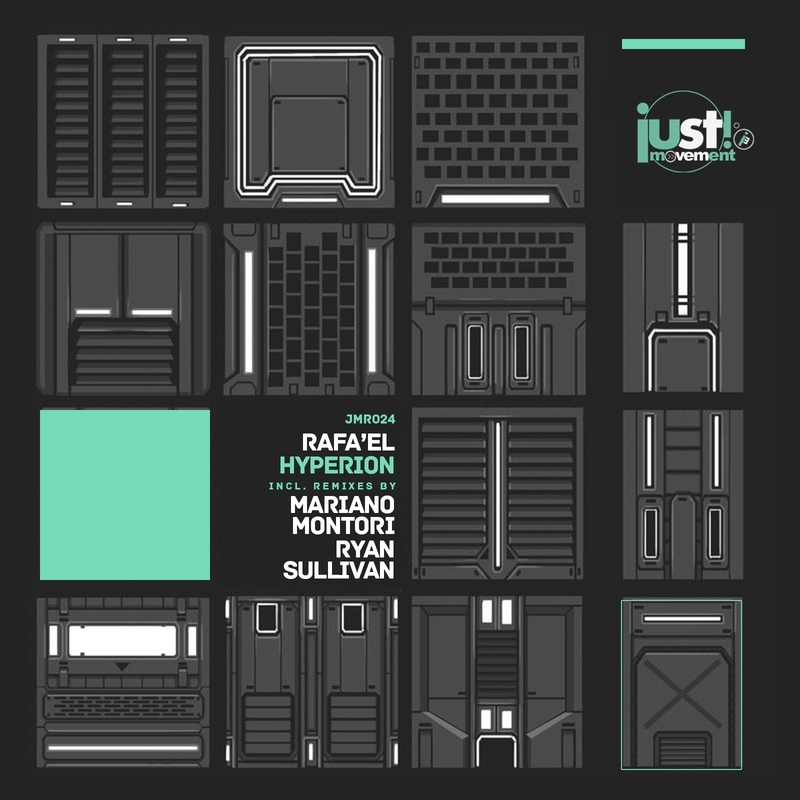 The 24th release on Just Movement welcomes Rafa’EL to the label for his debut single entitled ‘Hyperion’. The Polish artist enjoyed a great 2015 with key releases on 3rd Avenue, Soundteller Records and Stellar Fountain being the most notable. Now as 2016 begins we see Rafa’EL presenting his first single for Just Movement alongside remixes from Mariano Montori and Ryan Sullivan. The release begins with the original and Rafa’EL’s deep and distinctive sound carries it on a wonderful journey. Following a mysterious beginning of wispy atmospheres and brooding grooves a serious of aquatic hooks gets dropped in for a wonderful effect. It’s slow building nature develops a delicate tension as the main break commences, which then transitions through several moody motifs. Subtle modulation tantalizes the senses, eventually reigniting the beats for a finale of piercing, key changing tones, dark electronics and space themed vocal samples. A mystical wonder to kick off the year from Rafa’EL. The first interpretation of ‘Hyperion’ is provided by Mariano Montori who is making his second appearance the label. The Argentinean producer first appeared on the Dutch imprint in July of this year with a contribution to the labels ‘Just Summer’ collection. Additional 2015 appearances on Soundteller Records and Asymmetric Recordings made it a great for Mariano and now he kicks off 2016 with a superb remix of ‘Hyperion’. With a driving, stripped down approach the Argentinean producer has provided an excellent complement to the deeper, fuller original. Relying heavily on hypnotic cadence and just the right amount of quirky design the track flows with a momentous energy towards the break. Here Mariano builds mystery with an atmospheric swirl and dark underbelly, ultimately setting the stage for the pulsating groove and mystical overlays to take you home. The second and final interpretation of ‘Hyperion’ is provided by Ryan Sullivan who is making his first appearance on the label. The South African producer and Triple Fire Music label boss has long been a fixture of Johannesburg’s club scene and is one of his country’s most well known DJs. Following a 2015 that saw great productions for Lowbit Records and Suffused Music Ryan now begins the new year with a stellar rework of ‘Hyperion’. With a revamped and much funkier groove Ryan has opened the production up wonderfully to a broader range of dance floors. It’s distinctive stabs prove quite menacing throughout an energetic first half, before giving way to a lighter tonal motif that brings the track into the main break. Here Ryan twists the elements into elastic-like sonic delights while a shimmering overlay brings a newfound emotional presence to the piece. It makes for an amazing third act filled with spiralling acid lines and those distinctive stabs which prove all the more menacing. Excellent remix from Ryan which rounds the release off on a very strong note. Don’t miss it.